The Gladstone City Central one-bedroom apartment is a perfect choice for those looking to get away in style and luxury. Featuring a fully-equipped kitchen, separate lounge, dining area and queen-sized bedding. 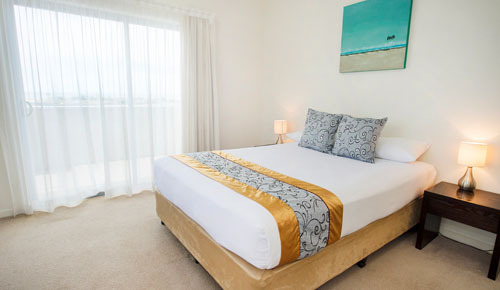 Also including views from the balcony of Gladstone City or over the ocean, it’s the ideal choice for any situation.